Create different roles for your users. Indicate what applications, features and functions each role should have access to. Assign users to these roles. For existing VETtrak users upgrading from a previous version, the upgrade process will automatically add to your database a number of roles corresponding to the VETtrak modules you already have. If you are happy with the access to VETtrak that your users currently have, you do not need to do anything, as your users will be automatically assigned to the role that corresponds to their current level of access. 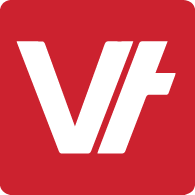 VETtrak default role - has full access to all functions and features that you hold licences for, and can add, edit and delete any data. VETtrak default read-only role - has full access to all functions and features, but can only view data. Users with this role cannot add, edit or delete anything. V - View - the user can look at this at item, but not make any changes to it, or add or delete items. A - Add - the user can add new items. D - Delete - the user can remove any of these items. We can see what permission a role has for various items according to the letters shown next to that item in the tree. View clients and edit their details, but not add new clients or remove any clients. View classifications, positions and visa types, but not change them, add new ones or delete them. Edit a client's education history, or add new education history items, but not remove any education history. View full details about staff members, but not make any changes at all relating to staff members. Setting what features the role has access to. Setting the permissions for individual items within each feature.